Big Data recently exploited people’s narcissism by personalizing all sort of products with their name in place of the usual logo. To comment this marketing trend is futile. 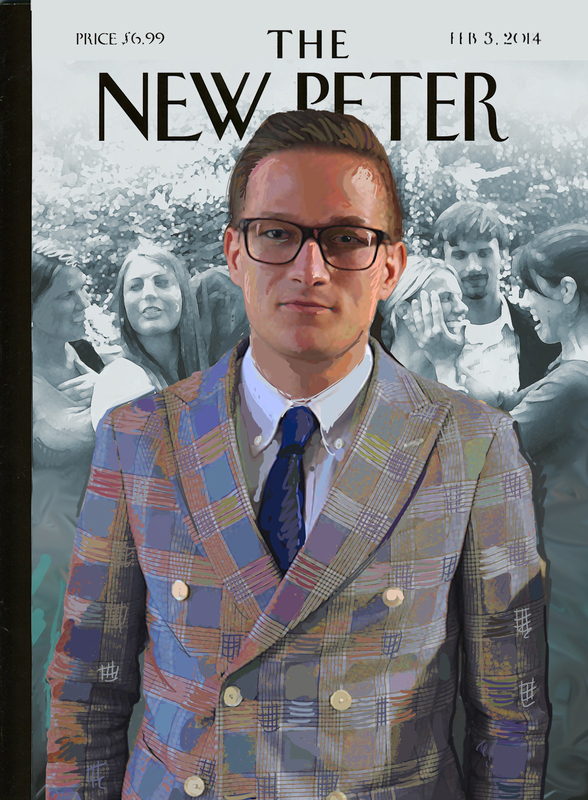 We wanted, instead, to publish a story about a guy called Peter, obsessed with his name. We hope you’ll enjoy it. 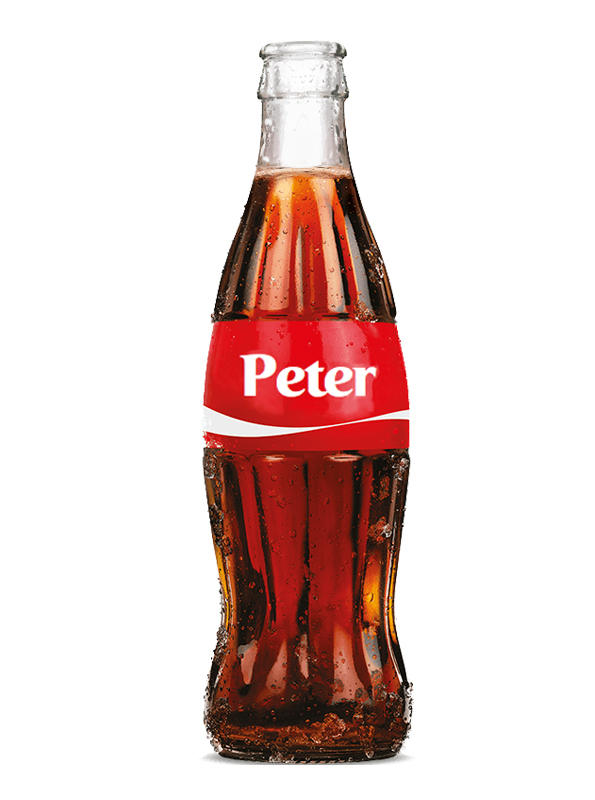 And if you’re called Peter, drop us a line. Hello! 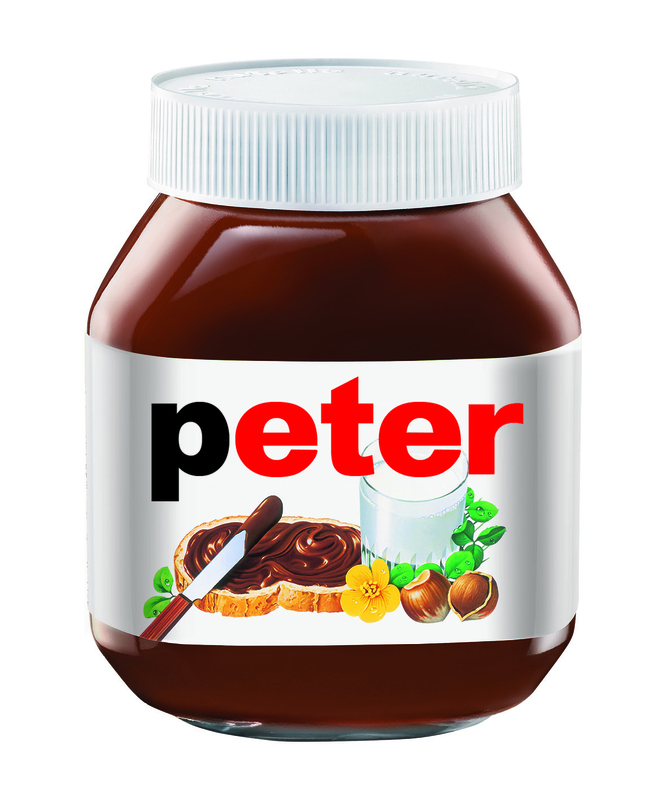 My name is Peter, just like 384,720 of you. 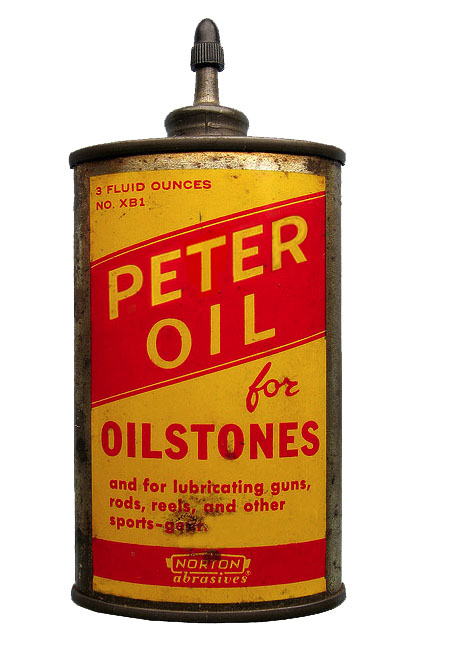 It sounds like there are a lot of people with this name, out there, but I’m afraid to tell you that the Peter population is in decline since 1979. 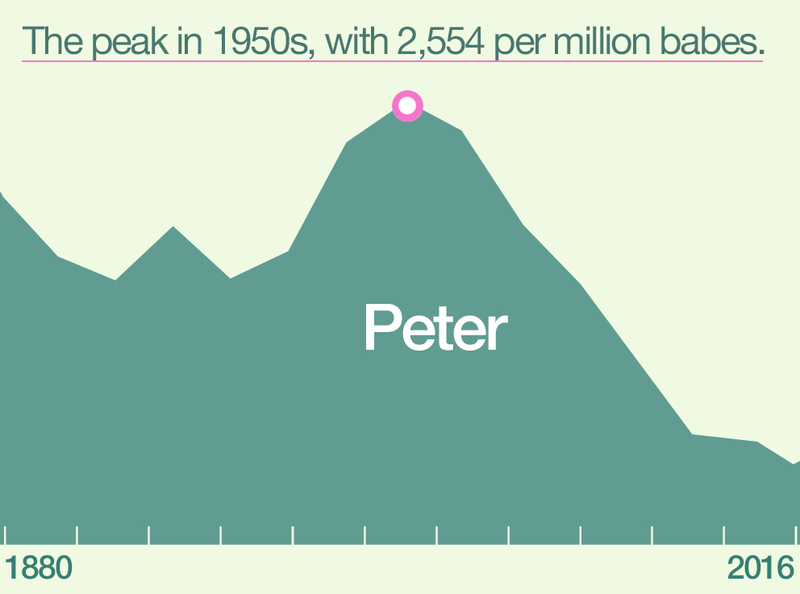 Until then, Peter ranked in the Top 50 most popular names in the United States. 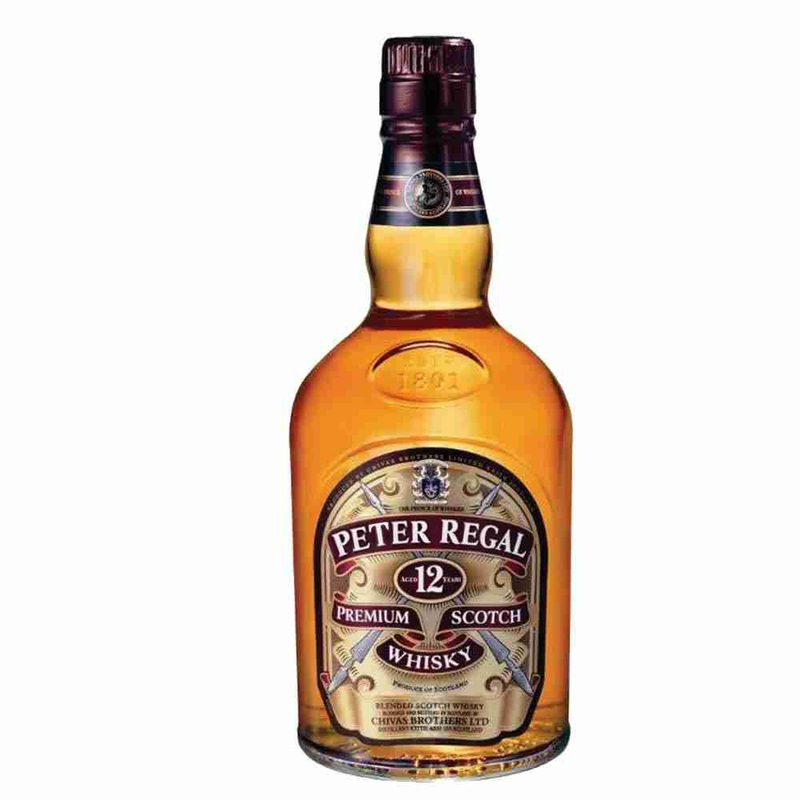 I don’t know what the hell happened next – apart Ronald Reagan being elected as our President and Mount St. Helens blowing up – but one thing is sure: since 1980, the name Peter began to drop, inexorably. Last year I (or better say we) ended up 205th. Don’t ask. The only thing I can say is that if I now go out for a walk, it’s ten times more likely I bump into a James than a Peter, and this worries me. If names were animals, the “Peters” – just like pandas or white tigers – should be placed among the endangered species. I’m not kidding. I made my own research on the Social Security website you are more than welcome to check out, if you like (even if you are not called Peter, of course). To browse an endless list of boys and girls’ names throughout the years is kind of trivial, I reckon, but I was surprised by how much beauty lies in statistics. There are a few drawbacks, though. I was disppointed, for instance, to see my name has been dropped in favor of Jacob, Mason and Ethan. 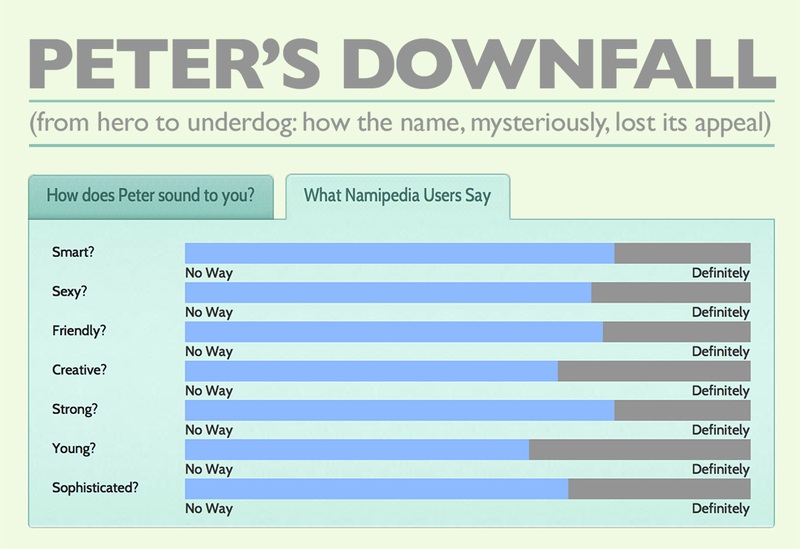 With due respect, these are nice names, but they totally lack the simplicity and symmetry of Peter. Well, okay, Peter has not the perfect symmetry of Bob, Natan, Otto, Hannah or Ava (this one was the fifth most popular for a girl, last year). But these are palindrome names that freak me out because I don’t really know how to handle a person I can call backward. The mirrored disposition of the letters is narcissistic and, if you let me, almost sign of a devilish nature, a split personality with a problem of identity. 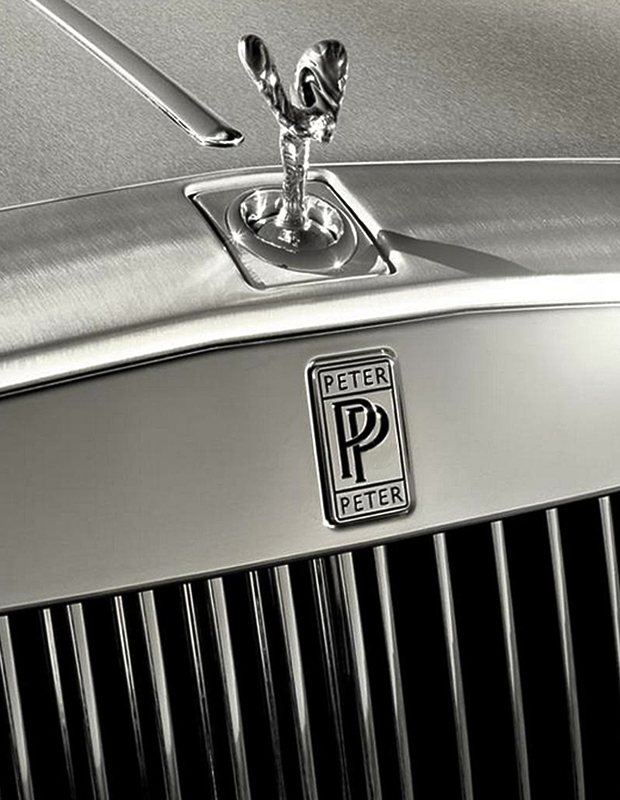 Being almost symmetrical, Peter reminds us of the imperfect perfection of human condition. I also discovered, in the wonderful book “Touch typing in ten lessons” that Peter is also easy to write, being the letters P,E,T,R all disposed on the top row of the keyboard. There are many more reasons that make Peter truly unique: the central part of my name means french summer (etè) and this makes me crave for a misty glass of champagne in Saint Tropez; the first three letters form the word “pet”, which is great because I love pets, and we all love pets; now, pick the last four and you get – ta-dah! – the beginning of “eternity”, which is good omen for an afterlife. Just in case. Also if you choose the first and last letter, you get something interesting: PR. 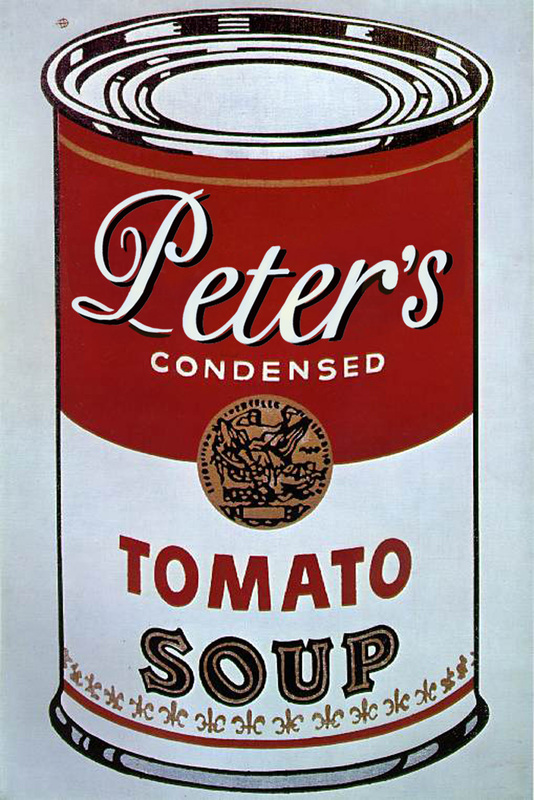 It’s not a coincidence, because people called Peter are very good in public relations. The name works like an icebreaker: as soon as you hear “hi, my name is Peter” you suddenly feel a wave of trust running through your spine. We can interact with anybody because we are empathic, friendly, warm-hearted, even funny at times. Take Peter Sellers, for instance, or Peter O’ Toole, Peter Gabriel, Peter Falk, Peter Dinklage, Peter Tosh, Peter Jackson. The list could go on forever, from St. Peter to Peter the Great, but enough with that. Every Peter has a reputation for being low profile, softspoken and humble to the point of shyness. Five letters, no more. It’s perfect. There are people with extremely long names who are living a very hard life. One example? There’s this guy called Adolph Blaine Charles David Earl Frederick Gerald Hubert Irvim John Kenneth Loyd Martin Nero Oliver Paul Quincy Randolph Sherman Thomas Uncas Victor Willian Xerxes Yancy ZeusWolfescH… plus 500 more letters! If you don’t believe me, check it here. Just imagine this guy introducing himself to somebody, going out for a date, having a job interview, filling up a form, or showing his gigantic driver license. A real nightmare! 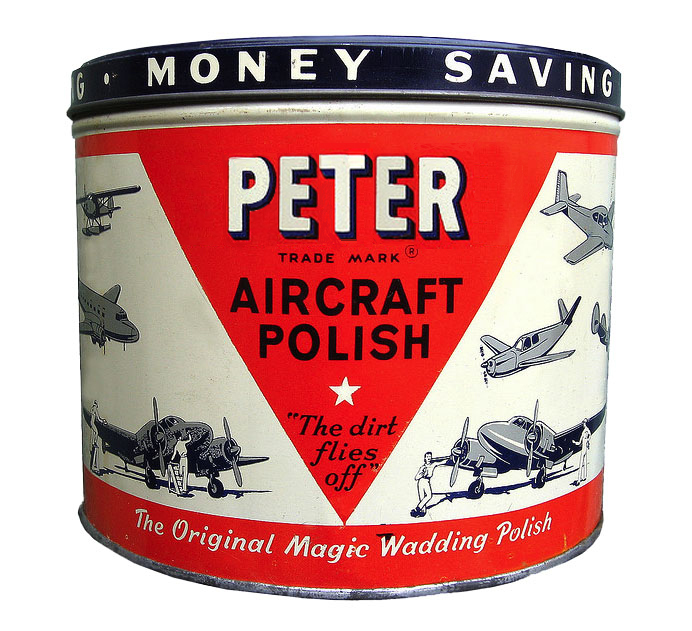 Having said that, I love Peter. I love its simplicity. I’m normal and armless, anonymous up to a point of invisibility or evaporation. I’m happy to be a perfect nobody. Do I exist, after all ? – Sometimes I wonder –and I’m not sure about it. One day I will die and only my name will survive me, hovering over my pale bones for a while, and then maybe migrating in somebody else’s body, or resonating into someone’s voice, calling: Hey, Peter!! !